It's Inspiration Wednesday with Kary and today we're going to focus on the new Sentiment Kit - Abundant Blessings. I think this is my favorite Sentiment Kit ever! I love the floral image and the all occasion sentiments. 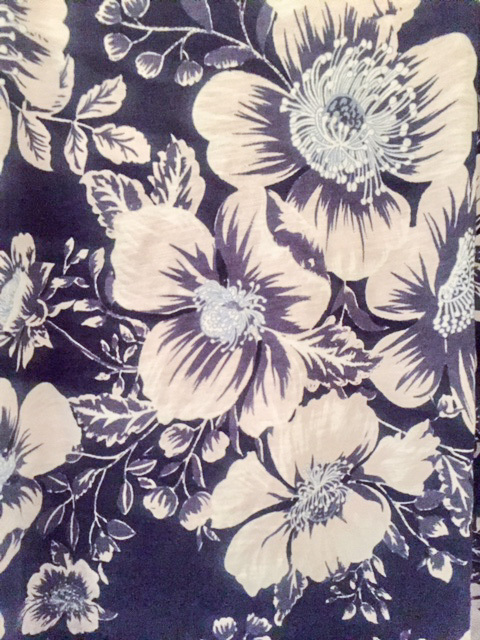 My inspiration today is based on the floral pattern on my favorite tshirt. I love the monochromatic color and the bold flowers. 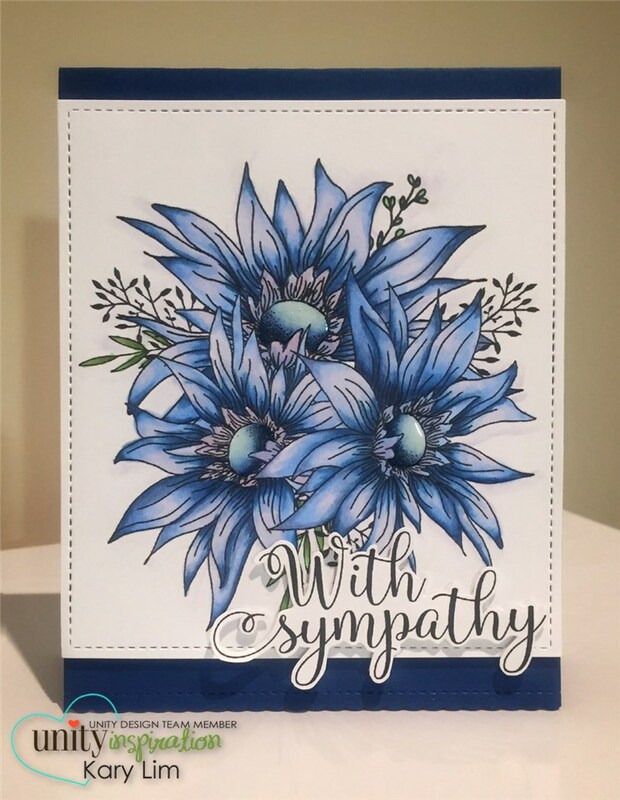 I thought it would be nice to try this technique on a card. Instead of having lots of white spaces in the flower petals, I decided to try the inverse. I colored the flowers with Copic Markers (B37, B34, B32, B60). For the sentiment, I fussy cut around it and adhered it with foam adhesive for some dimension. I added some glossy accents to the flower centres for some interest. 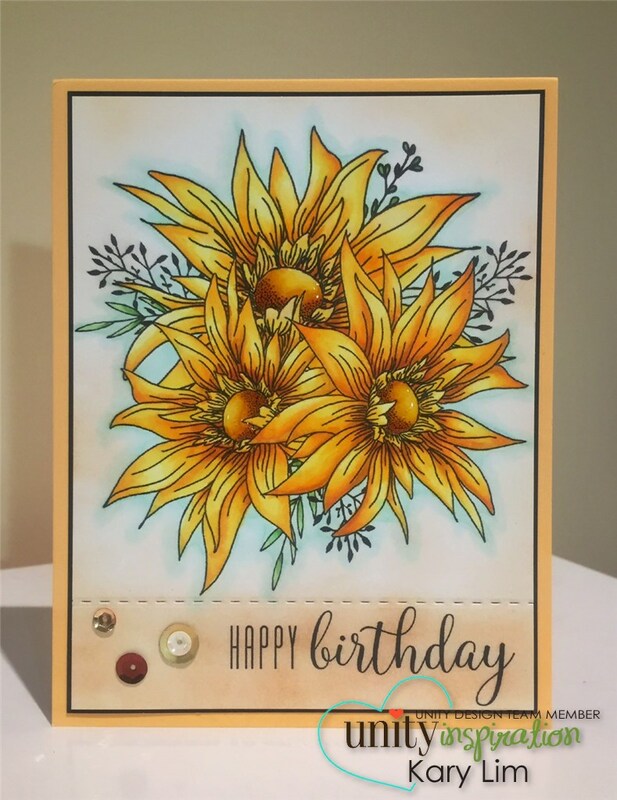 Since this kit is so fab, I made another card with brighter colors. Just switching the colors used, the feel of the card is so different. On this card, the Copic Markers used are YR27, YR24, YR15, Y15, Y11. If you have never owned a Sentiment Kit, you might want to get this set. There are so many possibilities with it. I think I'm going to try watercoloring and possibly color pencils next.